Abstract—The objective of this paper is to present new rate design innovations toward improving or replacing the net energy metering and billing associated with the rooftop solar PV systems. New rate design innovations are helpful in enhancing the sustainability of renewable energy based micro grids and utility’s network. The paper is presented in five parts. have been presented in part V of the paper. It may be noted that the paper is prepared in the context of the US utilities, but the rate design innovations, conclusions and recommendations that have been discussed in the paper are equally applicable to such utilities in Africa and other parts of the world, that are building renewable energy based micro grids. The emerging economies are adopting new and innovative approaches to expand their renewable energy portfolio with the assistance of private sector participation in their projects. The innovations happen in both demand and supply side. The approaches on the supply side are renewable energy portfolio standards (e.g. green certificates), net metering, renewable energy feed-in tariffs, and auctions for procurement of MW / MWh. Renewable Portfolio Standards and net metering are in use in the US and Europe. Renewable Energy Feed in Tariffs are widely used in developing countries. According to IRENA report, 30 developing countries out of 44 countries used auctions as of early 2013. The experience of emerging economies such as South Africa in the use of procurement auctions is worth the discussion with the objective to understand challenges and opportunities in terms of exploring alternative sources of financing of renewable projects utilizing solar and wind. Finding the alternative funding instruments is imperative because the supply of funds from conventional debt channels namely, commercial banks, is reaching limits or even expected to decline, toward funding renewable energy projects. The electricity supply in South Africa is dependent on coal and the country is committed to progressively displace the use of coal for power generation. It is investing in clean coal technologies. It has prepared an atlas of carbon storage sites. Its potential for solar energy and wind energy is well documented. Its electricity transmission grid is healthy and is capable of absorbing 5000 MW renewable energy projects without any additional investment. The renewable energy development began with the announcement of feed in tariff in 2009 but it was abandoned in favor of procurement auctions because the procurement based on the feed in tariff was not in conformity with the national procurement laws. The country launched procurement auctions in favor of feed in tariff in 2011. It has successfully conducted three rounds of auctions to source renewable energy projects under the South African Renewable Energy Independent Power Producer procurement program (REIPPP). In round 1, 28 bidders were qualified to produce 1416 MW of renewable energy. The round 2 generated 19 preferred bidders to supply 1045MW and round 3 the 17 preferred bidders to produce 1470 MW. The three rounds of auctions together contributed to 55% of the targeted RE capacity addition by 2020. The fourth round auction, furthermore, yielded 1121 MW new renewable energy projects capacity additions. The key outcomes are: the offered unit electricity price has progressively declined from the round 1 to round 3 in regard to wind energy, solar photovoltaic and solar CSP. The round 3 also picked new renewable energy projects, namely a landfill gas-to-power project and a biomass project. Local content in the renewable energy projects has increased; South Africa invested US $10 million to prepare bidding documents, conditions of contract and evaluation of bid which is a big amount for a small Sub-Saharan economy. The implementation modalities for developing the selected projects are: the renewable energy projects developers sign a PPA with the state utility ESKOM, which guarantees a payment for power generated at an agreed tariff, based on a “take or pay” for at least twenty years. The Department of Energy provides investors a second line of defense and offers recourse to government if ESKOM fails to honor its commitments subscribed in the PPA. These dispensations make the PPA a credible instrument enabling developers to raise funds for project development purposes. On the basis of these PPAs, selected bidders raise equity (30%) and debt (70%) to implement renewable projects. The resultant preferred bidders of the three rounds have already secured the financial closure status. The debt has been financed from major local commercial banks and equity by institutional and domestic investors. However, Soittec Solar, a company selected for a solar PV project, secured $111 million of debt finance through issuance of a rated bond in 2013. The project was expected to be completed in 2014/15. The bonds have been purchased by South African institutional investors such as insurance companies and pension funds. This shows that the debt financing is possible through renewable energy bonds. There are two pertinent questions in regard to raising debt in emerging markets: (1) what should we do so that the experience of Soittec is emulated by other companies in emerging economies? (2) What should be done to attract the international institutional investors to purchase long-term debt securities in the emerging economies? To investors, a bond is a fixed income security. A bond is characterized by an annual interest rate, called coupon and bond duration. For example, coupon rate could be 5% per annum on the par value of a band. The bond issuer pays to investor an yield based on the coupon and face value of the bond. The bonds after issued are listed on the stock market, can be bought and sold by investors. The real bond value fluctuates with macro-economic variables such as rate of inflation and interest rate of economy. If the market interest rate is higher than the coupon, the present value of the bond reduces and investors loose. On the other hand, stable macro-economic conditions such as low interest rate, low inflation and well developed stock markets offer investors a higher yield than assured by coupon interest rate. The project developers need to study the macro-economic parameters of a country and credibility of the stock markets. It should take the help of noted transaction advisers to develop a bond prospectus for investors. The prospectus defines, among others, coupon, maturity and rating of the bond. The bond needs to be rated by an international rating agency. The bond rating should be an investment grade in order to inspire investors to invest in the bonds. The investors avoid the junk rated bonds. The bond prospectus needs to be approved by the stock market regulator. The project developers need to appoint smart investment banks to market these bonds to institutions investor such as insurance companies and pension funds. The institutional investors try to match duration of their assets and liabilities. There is no doubt that opportunities are big for investors in renewable energy bonds to be issued by private project developers in emerging economies. However, the international investors view emerging markets purely from the risk perspectives. Such risks as political upheavals, labor strikes, large unemployment level, policy reversal risks, policy paralysis risks and two digit fiscal deficits make the international rating agencies weary and they down grade sovereign bond rating. Downgrade of sovereign bond rating might have impacts on current and future projects due to rising debt service cost. It might lead to increase in the infrastructure service supply cost. Therefore, infrastructure projects must be implemented within the time schedule and budget. Moreover, there is need to improve the macro-economic policies (a) accelerated economic growth with jobs, (b) stable interest rate, (c) stable exchange rate of national currency with US$ / Euro in view of the expected US Treasury’s tapering of the quantitative easing, (d) prudent fiscal management and (e) monetary policies to control inflation. In the current situation, the international investment in renewable energy bonds is likely to lag behind other sectors, in emerging economies. However, renewable energy bonds could be given some sops such as a tax free status to attract international investment in the long-term debt securities. The cyber-attacks are likely to increase in the electricity grid in the next ten years in the world due to: (1) the internet-connected systems are increasing targets (2) security is not the first concern in the design of internet applications (3) major cyber-attacks have already happened, i.e. Stuxnet worm, Havex, and BlackEnergy 3 and (4) electricity sector is one among most vulnerable sectors. Therefore, the cyber security of electricity grid is of paramount importance and a global issue. 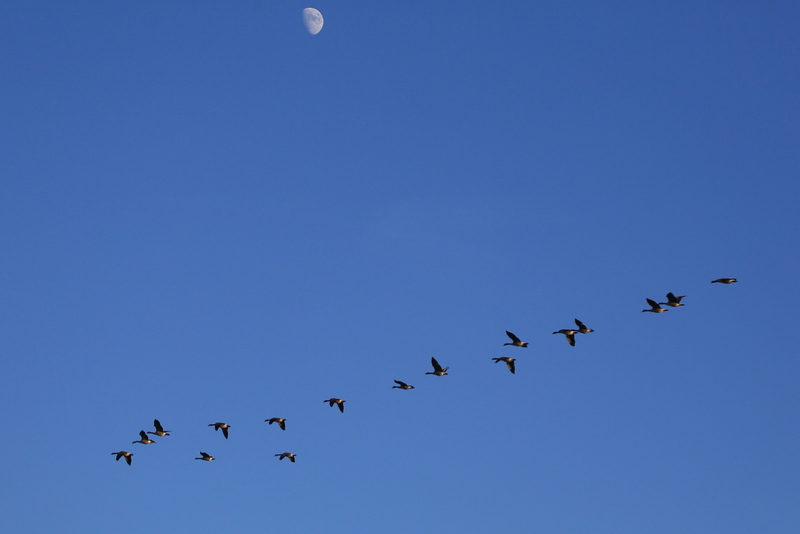 In view of the above, the questions lurking in minds of company executives are: what are best practices and what we can we learn from best-practices in cyber resilience, and what types of changes are required for the energy industry to be prepared for today’s critical inter-connectivity? ; How do we translate cyber risks from an operational risk to a business concern? ; What do leaders need to know; and what can they do in the future to better prepare our systems in the instance of sheer sabotage? This paper is about addressing these questions. The underlying themes are: the cyber resilience of smart electricity grid could be enhanced: firstly by preventing and destroying a cyber-attack where it happens and at the same time by blocking the spread of attack to other networks and systems in the interconnected power systems; and secondly by restoring the power supplies to customers quickly if the electricity grid fails due to a cyber-attack. Besides introduction, the paper is divided into five parts: part 2 is about review of cyber security threats and attacks in the literature. Part-3 presents best practices to learn lessons from and to enhance cyber resilience of electricity grid. The best practices subsume a comprehensive cyber security framework with application to advance metering and electricity distribution infrastructure. Part 4 addresses some critical questions: What types of changes are required for the energy industry to be prepared for today’s critical interconnectivity? ; How do we translate cyber risks from an operational risk to a business concern? ; and How do we finance cyber resilience electricity infrastructure. Part 5 of the paper, given the limited experience with cyber- attacks, which triggered power outages in the interconnected system, presents an evolving set of best practices to restore power supplies to customers if the grid fails due to these types of attacks. Finally, conclusions, recommendations and future research areas have been presented. A version of this article appeared on Triple Pundit on September 9, 2016. Addressing climate change requires a two-pronged approach. One approach is implementing preventative policies such as the U.S. Environmental Protection Agency’s (EPA) Clean Power Plan, intended to reduce carbon emissions. Other examples of preventative policies include carbon tax or a cap and trade system. A second approach is designing communities that are able to withstand climate change impacts. To effectively address the risks of climate change, adoption and application of technological breakthroughs that build smart and resilient communities is essential. The clean energy revolution holds significant promise in terms of mitigating climate change impact. The actual transition, however, is a long-term process with many moving parts and one that requires careful planning and consideration. How, then, can countries safeguard and plan against climate related events that continue to threaten livelihoods, economies and health of individuals? Solar combined with storage offers one viable solution. The 2016 Climate Change Vulnerability Index below points out to countries that are at extreme risks from climate change. African nations such as Chad, Niger, and Central African Republic and parts of Asia such as Bangladesh are particularly vulnerable. Fortunately, these countries possess strong solar PV potential, as measured by the level of solar irradiation, which when combined with storage can significantly increase resiliency of these countries to handle climate change impacts. While storage is primarily seen as a strategy to integrate variable renewable energy into the grid, solar combined with storage can serve as a resiliency mechanism to prepare communities to handle extreme weather events caused by climate change, and risks to the grid system which are becoming increasingly more pronounced. 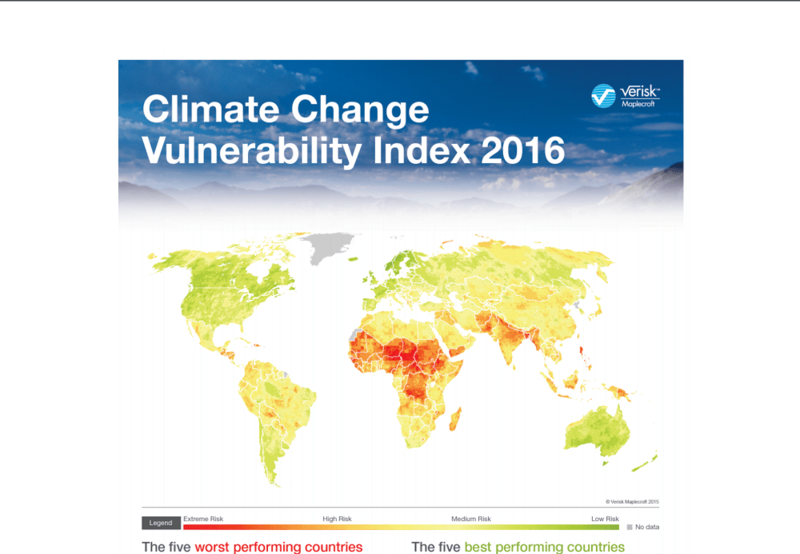 Figure 1: Climate Change Vulnerability Index 2016. A series of projects are already underway in the United States intended to demonstrate the efficacy of utilizing solar plus storage as a resiliency measure. San Francisco’s Solar + Storage for Resiliency program, through funding from the U.S. Department of Energy SunShot Initiative, aims to serve as a national model for integrating solar and storage into the city’s emergency response plans. Similarly, in 2015, Oregon undertook an energy storage demonstration project in collaboration with Eugene Water and Electric Board (EWEB) to create an island system comprised of batteries and solar PV to provide clean, resilient power to three critical facilities. These projects, when completed, will provide a wealth of best practices for other communities to emulate. High-risk developing countries that are just beginning to plan their mitigation and resiliency strategies are at an inflection point to create a framework to incorporate solar plus storage. This is particularly valuable for communities with massive urban centers, island locations, and regions with weak grid access. Below are some recommendations communities should implement. Incorporate solar plus storage as a resiliency measure in disaster preparedness plans. An ideal community disaster preparedness plan is synchronized with the local utility provider’s emergency response plan and identifies back-up power assets such as solar plus storage that can be deployed during disastrous situations. These assets should include those already developed and those in the pipeline. Additional planning should incorporate details regarding the duration of power supply from the storage systems, the distance and the level of power storage systems will provide, as well as a prioritized list of facilities that will be first in line to draw power from storage. Having this information readily available will greatly aid communities restore normalcy in disastrous situations with power outages. Regional or national database of implemented and to-be implemented solar PV projects. Establishing a database of existing or forthcoming solar projects will help Energy Planning Authorities to understand if incorporating storage on these projects will create a value-add. Factors that should be evaluated include the risk profile of communities where solar projects are sited, the strength of the existing grid, and the load factor of that community. Creating a priority matrix will streamline the planning process and effectively deploy storage resources where they are most needed. Designing cost-competitive solar plus storage systems to suit local conditions. For developing countries to effectively adopt clean energy technologies, they need to be cost-competitive and compete with fossil fuel energy sources. Moreover, these technologies should also be able to sustain physical conditions as well as technological limitations of these countries. For example, is internet access and speed a factor in effective deployment of solar plus storage systems as well as other energy management systems? Take technological maturity spectrum into account: As emerging clean energy technologies such as solar and storage continue to move from “demonstration” and “deployment” phase to “mature” phase, utility and community planners need to assure that today’s investments will not become obsolete tomorrow. One approach can be to deploy new technologies in tandem with technology roll-out plans with solar plus storage companies. Increased collaboration among energy, community, and technology developers can aid with this. Continued training of energy and utility workforce: Emergence and deployment of new technology calls for a greater need in ensuring that the local workforce is trained on effective utilization of these technologies. New training programs need to be designed for solar installers, grid operators and power dispatchers. This is especially critical for Sub-Saharan Africa which is already witnessing a shortage of skilled workers for the clean energy industry. Research shows that qualified workers in the region are unable to keep up with the investments and the penetration of clean energy technologies in Africa. According to International Energy Agency (IEA), 17 percent of the world population or 1.2 billion people lack access to electricity. Ninety-five percent of these are located in Sub-Saharan Africa and Asia. Moreover, the same countries are highly vulnerable to climate change impacts. The swiftest way to grant these people access to electricity is through utilization of readily available energy source – the sun. And to protect these communities from climate change impacts, solar plus storage is a promising answer. Climate Action Lessons the Developing World Can Borrow from the U.S.
A version of this article appeared on Triple Pundit on May 11, 2016. The commitments to address climate change go back to the 2009 Copenhagen Accord which established the $100 billion Green Climate Fund to help developing countries address and build resiliency to climate change. The United States committed $3 billion in 2014 in addition to commitments from other developed countries. While financial assistance is urgently needed, it is just one side of the coin. The other side – enhancing the soft infrastructure, the know-how and the culture is equally significant to assist developing countries in the transition from high-carbon to low-carbon economies. The United States makes a great case study for this and has demonstrated over the last years that underscoring the non-financial side can produce significant and measurable results as well. According to the U.S. Energy Information Administration (EIA), U.S. energy consumption has slowed down. The agency predicts that this consumption will not return to the growth levels seen during the second half of the 20th century. A key point to note here is that household energy consumption is expected to remain relatively flat. Improvements in appliance efficiencies and consumer awareness, hand-in-hand, are driving this trend. The U.S. is also witnessing “decoupling” of economic growth and energy consumption. According to the U.S. Department of Energy, the U.S. will continue to see an increase in economic growth and population, but its energy consumption will remain steady. Interesting to note, this trend in U.S. energy consumption is driven by advances in energy efficiency, renewable energy and natural gas. So, what are the key lessons developing countries can derive from the U.S.? The trends mentioned above occurred in the absence of any national policies or mandates. The Clean Power Plan came into existence much later. Rather, it was the state policies and federal/local incentives, along with consumer preferences and changing market dynamics, that helped drive the market. Here are some key takeaways. Strengthen local soft infrastructure: Most developing countries employ a top-down development model where policies and agendas are established at the highest level of government and are passed down to the state and municipality level. Bringing impactful change will necessitate all levels of government to serve as change-agents, which requires the presence of operative soft infrastructure to deliver services to consumers. The U.S. Department of Energy’s SunShot Initiative Soft Costs program is an example of a program working to build effective soft infrastructure. The Soft Costs program works with local governments and other stakeholders to reduce market barriers that inflate the costs of solar deployment and hinder market growth. The Solar Foundation, through funding from the U.S. Department of Energy, recently launched the SolSmart program, a national designation program designed to recognize communities that have taken measurable steps to minimize local barriers to solar energy deployment. Building soft infrastructure improves service delivery and enables consumers to take action. Convening delegates from developing countries for workshops and exchange of best practices, focused on building local capacity, can expedite the adoption and implementation of climate-change programs and policies. Effectively utilize the private sector as champions: Apart from being famous for technology, clothing and food, companies such as Intel, Microsoft, Kohl’s, Whole Foods, Google and Apple are renowned for their commitment and action on clean energy. They are the trailblazers of the clean-energy movement. These companies top the ranks for utilizing the greenest and the cleanest energy options. Microsoft is one of the biggest consumers of renewable energy sources, and 80 percent of its annual electricity comes from clean energy. Going a step further, Microsoft also implemented an internal carbon tax program to limit its own carbon emissions. The clothing retailer Kohl’s, through a combination of solar credits and on-site installed solar projects, gets 105 percent of its electricity from clean-energy sources. Besides sending a clear signal to the market about their desire to reduce their carbon footprints, these companies play a pivotal role in influencing policymakers, competitors and consumers in making sound energy choices. Developing countries must emulate this culture of action, promotion and influence. A significant credit in creating this culture of influence goes to the U.S. media, both mainstream and grassroots, for bringing visibility and highlighting these success stories. The local media, as well as civil society, in developing countries should be equipped with tools and resources to amplify local success stories emerging from their private sector. This will bring broad awareness and influence how climate change and clean energy issues are perceived and acted upon. Increase consumer understanding of energy efficiency and renewable energy: The U.S. clean-energy movement is an offshoot of the environmental and self-reliance movement. A multitude of environmental organizations in the U.S. — at the national, state and local levels — have incorporated clean energy and energy efficiency in their organizational agendas. By one count, there are over 25,500 environmental organizations in the U.S. If even 25 percent of these organizations promote energy efficiency and clean energy, it amounts to one organization per 50,000 individuals. And this is just nonprofits. Including other organizations such as lobbying firms, schools and higher-education institutions, and environmental centers, you have a civil-society structure that saturates the market for increasing consumer awareness. India, in comparison, shows 69 nonprofit environmental organizations, by one count, that may or may not touch on clean energy and energy efficiency. Investing funds to build this volunteer-based, action-oriented capacity — whether it’s at schools and universities, religious institutions, housing associations or even at work centers — will significantly increase awareness among the populations to demand clean energy and subsequently reduce emissions, especially in high-carbon economies. The U.S. is far from perfect. It still has a lot of room to improve and grow into a society that consumes energy responsibly and sustainably. The above takeaways are examples of what the U.S. is doing right. As world leaders carve out projects via the Green Climate Fund, they will be remiss to ignore the value-add of soft infrastructure and the civil-society capacity in assisting countries’ transition to a low-carbon economy. Is the Promise of Natural Gas Waning? The final Clean Power Plan released on August underplays the role of natural gas in reducing carbon emissions in comparison to the draft Clean Power Plan rules released in 2014. According to the America’s Natural Gas Alliance President Martin Durbin, initial indications from the final Clean Power Plan rues indicate that the White House discounted gas’s ability to reduce GHG emissions quickly and reliably while contributing to growth and helping consumers. For the last few years, natural gas was considered to be a bridge between carbon-intensive fuels such as coal and the clean energy of the future. Given that natural gas releases 50% fewer greenhouse gas emissions compared to coal, it was certainly a great substitute. However, the recent growth in the renewable energy industry is quickly proving that we may not need this bridge fuel after all. Here is why. 1. Cost of utility-scale renewable energy on par with natural gas: According to the financial advisory firm Lazard, the levelized cost of energy (LCOE) for natural gas ranges from $61 to $87/MWh, $60 to $72/MWh for solar PV and $37 to $81/MWh for wind. Wind clearly fares well but solar is also cost-competitive with natural gas. While analysts believe that renewable energy sources are only competitive with subsidies, data shows that even without subsidies, renewable energy can compete with conventional energy sources as demonstrated by recent examples such as Austin Energy which signed a 20 year solar PV power-purchase agreement at a rate less than 5 cents/KWh. Similarly, Public Service Company of Colorado has plans to purchase electricity generated by Sun Edison’s 156 MW solar power plan via a 25 year power-purchase agreement. The continuous drop in the hardware and soft cost of solar PV negates the use of natural gas as a substitute for coal. Many utilities will likely jump directly to solar or wind to meet their generation needs. Improved battery storage technologies and reduced cost will aid in this transition. The battery storage start-up Eos Energy Storage is certainly headed in that direction. Earlier this year, Eos Energy Storage introduced its grid scale 1 MW Aurora battery energy storage system which provides four hours of discharge that is cost-competitive with gas peaking generation. Currently, the company has project agreements with Consolidated Edison, GDF SUEZ, and Pacific Gas and Electric. 2. Increased EPA regulations for oil and gas: In order to meet President Obama’s ambitious goal of reducing greenhouse gas emissions, the Environmental Protection Agency (EPA) proposed regulations to cut methane emissions from oil and gas production by almost 45% by 2025. While environmentalists tout these steps as necessary to curb climate change, many oil and gas representatives see this as a step to restrict the growth of the booming natural gas industry and put an undue burden on the industry. If the production costs for the natural gas industry climb up due to increased regulations and the production cost of clean energy continues to decline, clean energy will likely emerge as the winner in the future energy generation mix. 3. 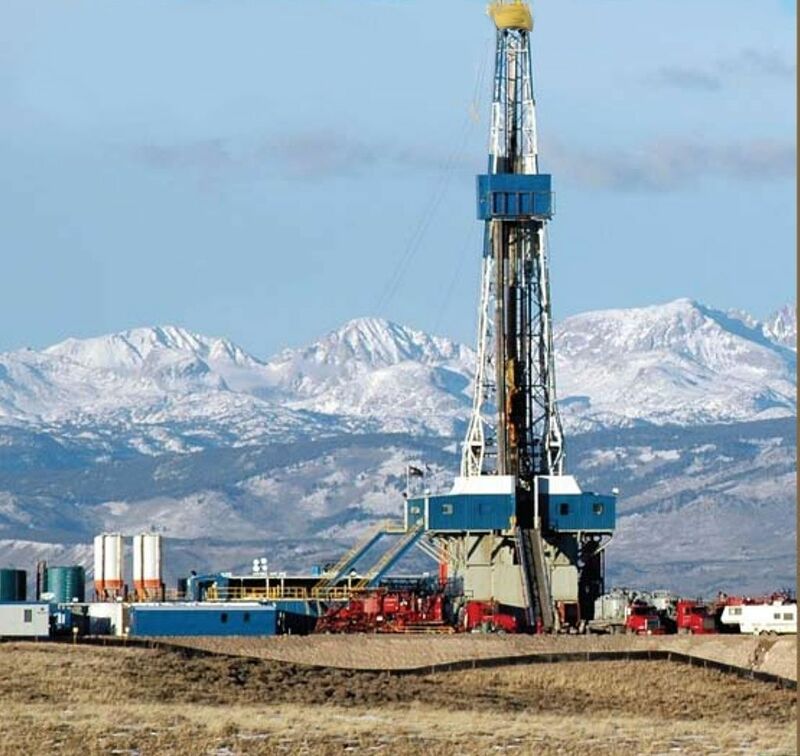 Public resentment against fracking: The biggest factor that led to the boom in the natural gas industry is the technological breakthroughs in hydraulic fracturing or fracking. But, this has not come without the skeptics. For the last few years, environmentalists and public health advocates have been suspicious of the impact of fracking on water quality, seismic activity, and other hosts of environmental and public health issues. Most recently, University of Texas came under fire for allowing fracking on the land owned by the University. A research report published by Environmental Texas Research, Policy Center, and Frontier Group demonstrates the impact of fracking on public health and the environment. According to NRDC, studies have also shown dangerous levels of toxic air pollution near fracking sites as well as increase in risk of cancer and birth defects in neighboring areas due to oil and gas production. A number of environmental advocates recently notified the Environmental Protection Agency (EPA) of their intent to sue if EPA does not update its fracking rules. The last time rules were updated was in 1988. This means that all the current fracking activity in the last ten years has not been regulated to the extent it should have been. 4. Volatility in the Natural Gas market: Despite the surge in the natural gas market, price volatility is a serious factor that needs to be accounted for. Since fracking is an unconventional form of gas extraction, the cost of drilling and extraction will continue to see an upward trend. As explained by Fortune magazine, natural gas extraction through unconventional ways such as fracking is marked with a short life compared to a conventional fuel extraction. This means that existing wells deplete at a much faster rate, thereby necessitating the need to build new wells, which in turn, increase the cost of natural gas. Due to this, energy consumers are hedging against this market volatility by increasing their reliance on renewable energy sources such as solar and wind as it provides a continued stream of energy at a predictable price over a long period of time. The natural gas industry is faced with a number of challenges that need to be addressed for it to safeguard its interests and protect its image as a clean energy source. If EPA acts on updating the rules and regulations, and the public and the business community continue to embrace clean energy sources such as wind and solar, the natural gas industry may soon be forced to fall into the footsteps of the coal industry. As the price of solar plummets, many consumers are going solar. This has led some utilities to seriously assess what it means for their business and how do they continue to maintain the power grid with fewer electricity sales. Recently, Pella Electric Cooperative introduced a surcharge of $85 per month for those who install solar PV systems to cover the fixed costs associated with the grid. This has certainly raised eyebrows among solar proponents as well as industry experts. The current debate is what is a fair charge? Another equally important question is if customers already pay basic facility fees and user charges, why is there a need for an additional charge? On top of all this, it is worth noting that Pella Electric Cooperative does not offer net-metering to its customers unlike investor-owned utilities that are required to provide net-metering. It is no doubt that solar customers benefit from the grid infrastructure when their solar PV system is not generating enough power. To solve this, utilities across the nation have proposed to assess a flat fee on customers’ bills. For instance, New Mexico’s utility, PNM proposed a $30/month distributed solar generation fee to cover the fixed costs related to the grid. 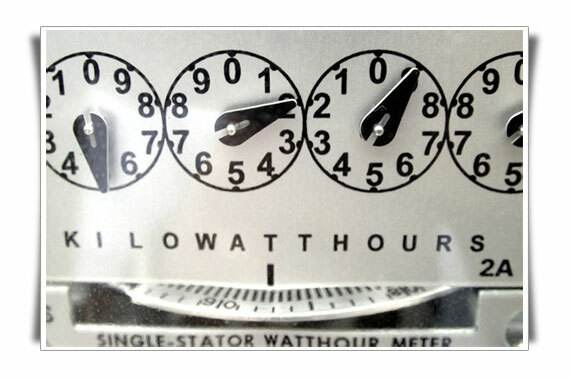 Arizona imposes a similar surcharge which amounts to $5 per month or $0.70 per kW fee on utility bills. California applies a $10 monthly fee for its solar customers. But, none of these numbers are close to what Pella Electric Cooperative assessed. Even so, solar industry advocates argue that there is no need for a monthly surcharge because this arrangement fails to take into account the benefits of solar PV. These benefits range from reducing carbon emissions, easing transmission lines congestion and system inefficiencies, as well as reducing peak demand. An objective analysis would ask utilities to apply a monetary value to the benefits it receives from customers installing solar PV. In 2013, Minnesota’s Energy Office provided guidelines to utilities to explore a value-of-solar tariff which includes cost-savings and environmental benefits. This approach also takes into account the unique nature of each utility provider and offers an objective and transparent process to assess the value of solar. This story also calls into question a utility’s rate structure design. In any business model, if a consumer is not utilizing an infrastructure, it should not have to pay for it. Pella Electric Cooperative recovers its fixed costs under the fixed charges as well as variable charges of the utility bill. If that is the case, then in all fairness, consumers that are receiving less energy from the utility should logically pay less for the infrastructure charges, not the other way around. Conversely, if each consumer is equally responsible for the infrastructure, the fixed cost should be equally divided among consumers and not vary depending on the electricity consumption. It can be compared to dues of a Homeowners Association. A homeowner’s monthly due does not change based on how much or how little she uses the amenities offered by the association. By affixing fixed cost recovery under variable charges, Pella Electric Cooperative is essentially charging customers more if they consume more electricity and therefore, logically should charge less if consumers are consuming fewer watts. The utility cannot benefit both ways by introducing a solar surcharge to make customers pay even when they are using less energy. Another topic that should be examined closely is the emerging role of battery storage technologies. Tesla’s new Powerwall provides options for off-grid scenarios as well as battery backup. Powerwall was launched in 2015 and costs about $3000 for a 7kWh model and $3,500 for the 10 kWh model in addition to the installation price of $500. This price range is fairly reasonable and affordable for those who are already installing solar PV systems. Customers that add Powerwall or any similar battery storage technology will create other hosts of issues for utilities that need to be addressed. If a homeowner is able to completely eliminate the need for power from the utility but are connected to the grid, are they still obligated to pay for the system costs and if so, what regulations or tariff systems would then be proposed to make the customers pay for the grid? Instead of skirting around these issues, Iowa state agencies such as the Office of Consumer Advocate, Iowa Utilities Board, and the Iowa Energy Office should take a proactive role and form a stakeholder group to begin discussions on these topics. Unexpected news such as Pella’s surcharge or Alliant Energy’s recent stand on refusing to net-meter solar PV customers that utilize a power-purchase agreement and later reversing its stand only adds confusion and uncertainty. All the more, this is not good rule-making process. The consumers’ demands and expectations of its utility providers are significantly different from yesteryears and call for a new approach in this changing energy industry. UPDATE: As reported by Midwest Energy News, Pella Electric Co-operative has now withdrawn it’s proposed fee for solar customers. This is good news for solar owners but also points to the fact that more information and awareness is needed for all stakeholders to really understand what is the true value of solar PV to utilities and to the grid. What The Clean Future Might Be? August 3rd will be remembered as a day when the US government took a bold step to set first-ever limits on power plant carbon emissions and make a serious attempt at tackling climate change. While this should be a great news for all of us, certain special interest groups will try their best to hamper its implementation. In order to move forward, we must look back and reflect on decades of progressive work undertaken by our citizens and our leaders that has improved our air and our quality of life. This astounding progress has been made possible by the same Clean Air Act under which the Clean Power Plan is rolled out. Critics have long argued that environmental regulations put an undue burden on businesses and harm the economy. But, the reality is far from this. From 1970 to 2012, the aggregate national emissions of six common pollutants dropped by 72% while gross domestic product grew by 219%. These are real numbers and we need to remind ourselves of these. How many of us think back and say, “only if we had not passed the Clean Air Act, we would have saved thousands of jobs”. My guess is none. Presently, the pessimists have given us all worst-case scenarios to dissuade EPA from moving forward with the Clean Power Plan. These range from utility rate increases to grid reliability risks to undue burden on low-income households. We have also heard that it will have an irreparable impact on the economy and will increase jobless rate. While these critics talk, utilities, cities, and states have already begun the process to reduce emissions. And these are not your usual suspects. For example, Tennessee Valley Authority (TVA), under its 2015 Integrated Resource Plan, plans to add clean energy into the power grid and concludes that this effort will neither increase electricity costs nor disrupt the grid reliability or create blackouts. Locally, MidAmerican Energy plans to get 57% of its energy from wind through its latest renewable energy project. No one has promised that the transition to a clean energy economy will be quick or easy. But it is a needed step to protect our ecosystem. Instead of putting barriers, we need to build each other up and focus our collective strength to devise solutions that result in marginal loss and maximum impact. If done right, clean energy can strengthen our economy, create jobs, and generate long-term real wealth. We cannot afford to protect the short-term interests of a few at the expense of the well-being of the common. Seventeen years from now, we will look back and say this was a step in the right direction. And our future generations will thank our leaders of today for being bold, visionary, and having the courage to make tough choices. One of Iowa’s major investor-owned utilities has changed a policy that was impeding new solar power projects, Karen Uhlenhuth reported for Midwest Energy News over the weekend. Follow me after the jump for background and details on this excellent news.